Celebrating Chinese New Year in School! 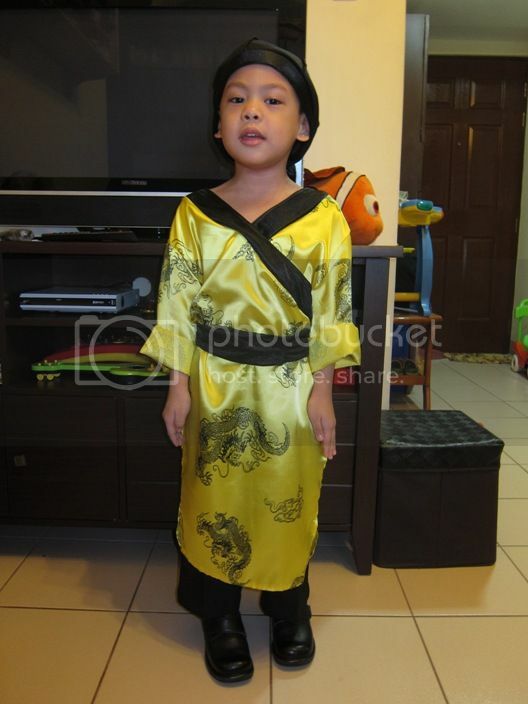 Last January 20, 2012 my 5-year-old went to school in a Chinese costume. 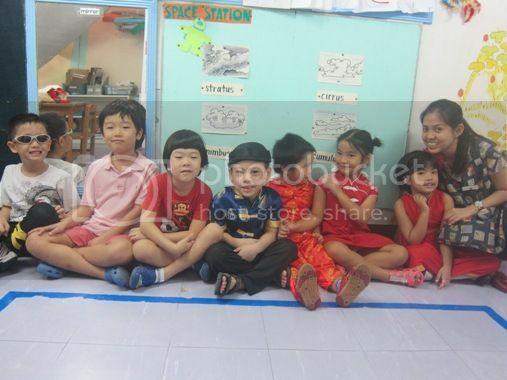 That’s because they were celebrating Chinese New Year in school. I decided not to buy him a new Chinese costume this year and just reuse the Chinese costumes he used in the past two years. 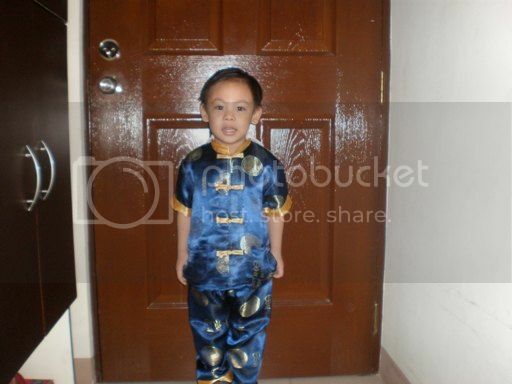 I combined the upper part of the Chinese suit that he wore when he was a nursery student and the headgear and pants of his kung fu costume that he wore when he was still a pre-kindergartner. We’re not Chinese, but my son looks like one because of his chinky eyes and fair complexion. My son would have loved to show what we was wearing in school on this day to his grandfather in Cavite if only video conferencing was available. To cheer him up, I brought my camera to school, took a picture of him with his classmates and teacher, and showed that picture to his lolo. This entry was posted in Chinese Costume, Chinese New Year, Kindergarten. Bookmark the permalink. 2 Responses to Celebrating Chinese New Year in School! ← Kipling Is Giving Away Belgian Chocolates From Today Until Valentine’s Day!